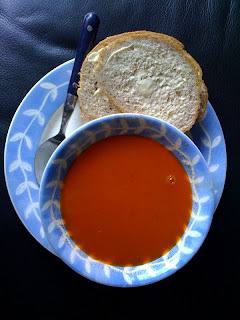 My greenhouse contains an abundance of ripe tomatoes so this morning I used some to make tomato soup. I added home grown potatoes and basil. After eating, I now know what tomato soup should taste like. Simply delicious.